Le Havre passenger and car ferry ticket prices, timetables, ticket reservations and information for ferries sailing from Le Havre to Portsmouth. Compare all available Le Havre ferry ticket prices in real time and book the cheapest available Le Havre car and passenger ferry tickets sailing to and from Le Havre, Portsmouth with LD Ferry Lines ferries online with instant confirmation. Book Le Havre Ferry Tickets with LD Ferry Lines for ferries sailing from Le Havre to Portsmouth online in advance to enjoy the cheapest available ferry ticket price. The price you see is the price you pay. There are no hidden extras or surprises such as added fuel surcharges or booking fees and we do not charge you anything extra for paying with a Visa Electron card. The price we quote you for your selected Le Havre passenger or car ferry ticket, onboard accommodation and vehicle type is all you will pay, and that's a promise. To obtain a Le Havre ferry ticket price and book your ferry ticket securely online please use the real time ferry booking form on the left. You are also able to add a hotel at your destination, or anywhere else, to your ferry ticket when completing your ferry ticket reservation. Le Havre is a port city at the mouth of the Seine, on the English Channel or in French "la manche". Wandering around the streets of the seaside city of Le Havre, you could be forgiven for thinking you’d stumbled into a forgotten outpost of the Eastern bloc. All but obliterated by WWII bombing raids, the city was totally rebuilt by Belgian architect Auguste Perret after the war. While it’s probably not a place you’ll want to emigrate to, Le Havre is still worth a visit as one of the great examples of post-war planning. It’s a strange and oddly fascinating city – listed by Unesco as a World Heritage Site – and the sophisticated André Malraux fine-arts museum is among the best in Normandy. The centre of town is eaily covered on foot. A local bus service runs regularly around town. The ferry port and train station are a short walk out from the centre of town and buses run on these routes. Rent a bike for a few euros at the tourist office or at the bus parked along the beach during the season. The city was originally built on the orders of François I in 1517 to replace the ancient ports of Harfleur and Honfleur, then silting up, and its name was soon changed from the mouth-challenging Franciscopolis to Le Havre – "The Harbour". It became the principal trading post of France's northern coast, prospering especially during the American War of Independence and thereafter, importing cotton, sugar and tobacco. In the years before the outbreak of war in 1939, it was the European home of the great luxury liners like the Normandie, Île de France and France. •St Joseph's Church was a key project designed by August Perret in the rebuilding of the city. Its tall tower is lined with coloured glass lending the interior a unique tranquility. •Hotel de Ville (Town Hall) is situated on one of the largest squares in France. The interoir has information on the city. It is possible to climb the tower for view of the lay out of the city. •Showflat, designed by city designer August Perret, is now open for public viewing. •Malraux Museum, houses the largest Impressionist collection in France outside of Paris. •Cultural Centre (the Volcano) designed by leading architect Oscar Neimeyer is located in the centre of town. •Maison de l'Armateur (opposite the ferries) One of the few old houses which were not destroyed during World War II! A magnificent house of 5 floors, nicely decorated and furnished in the style of its construction (18th century), when it belonged to rich families. A very interesting visit especially if you also visit Auguste Perret's showflat in City Hall Square showing what was life was like in the 50's ... You will understand the complex history of the city. •Museum d'histoire naturelle ... in an old building which miraculously survived the terrible bombings on September 5th, 1944. Interesting museum (free!) a lot of activities for children! •Near it, Cathedrale Notre Dame. Visit it and walk around it. You'll get a striking contrast between the 15th century cathedral and the buildings constructed in the 50's and 60's around it. The foundations of the cathedral are lower than the other buildings because they were built on the ruins of the old town. Most ferry passengers head straight out of the port of LE HAVRE as quickly as the traffic will allow to escape a city that guidebooks tend to dismiss as dismal, disastrous and gargantuan. While it's not the most picturesque or tranquil place in Normandy, however, it's not the soulless urban sprawl the warnings suggest, even if the port – the largest in France after Marseille – does take up half the Seine estuary, extending way beyond the town. Best Price Guarantee - We always offer you our lowest available LD Ferry Lines passenger and car ferries ticket price to and from Le Havre. There are no hidden extras or surprises such as added fuel surcharges or booking fees and we also we do not charge you anything extra for paying with a Visa Electron card. The price we quote for your selected Le Havre ferry ticket, onboard accommodation and vehicle type is all you will pay, and that's a promise! In the unlikely event you find the same all inclusive Le Havre ferry ticket cheaper in the brochure of any other tour operator we promise that we will do our best to beat that price or offer you the choice of requesting a refund. 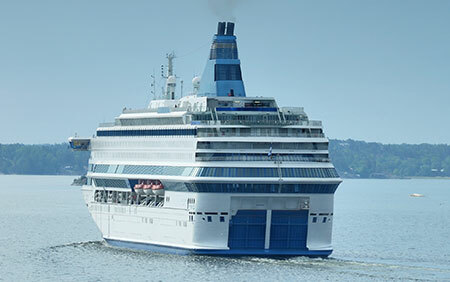 To book Le Havre car and passenger ferry tickets please click here. At ferryto.com you are able to obtain live Le Havre ferry ticket prices, check availability and book car and passenger ferry tickets to and from Le Havre at our lowest available ticket price. Ferryto.com is part of the world's largest online ferry ticket distribution network providing the ability to book over 80 major European ferry operators including to Le Havre and to over 1,200 other ferry routes throughout the UK, France, Spain, Ireland, Holland, Eastern Europe, the Mediterranean, the Baltic and North Africa.